Whether you are filleting salmon for gravlax, boning whole chicken, stuffing lamb leg or slicing beef for teppanyaki, this is the knife for the job, with long, narrow and flexible blade. The blade is 7 inch (180 mm) long and o.625 inch (15 mm wide). 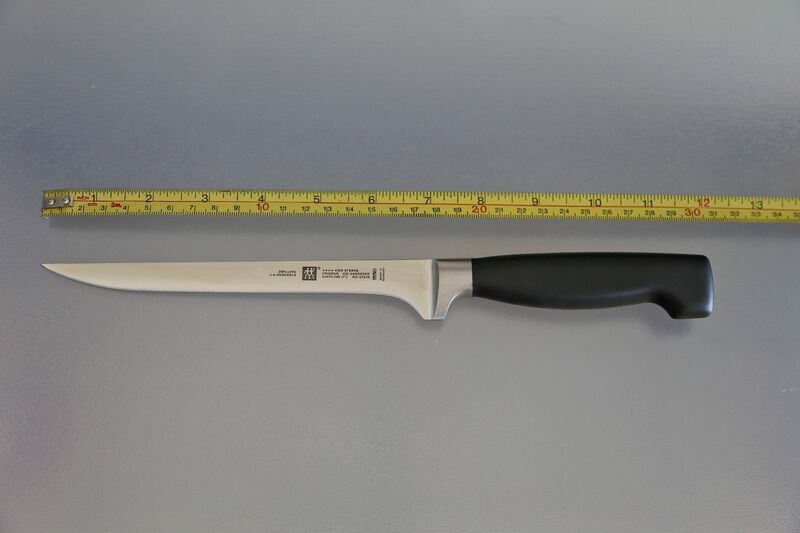 I bought this knife in Germany, click the following link to buy the US-marketed version of the same model Zwilling J.A. 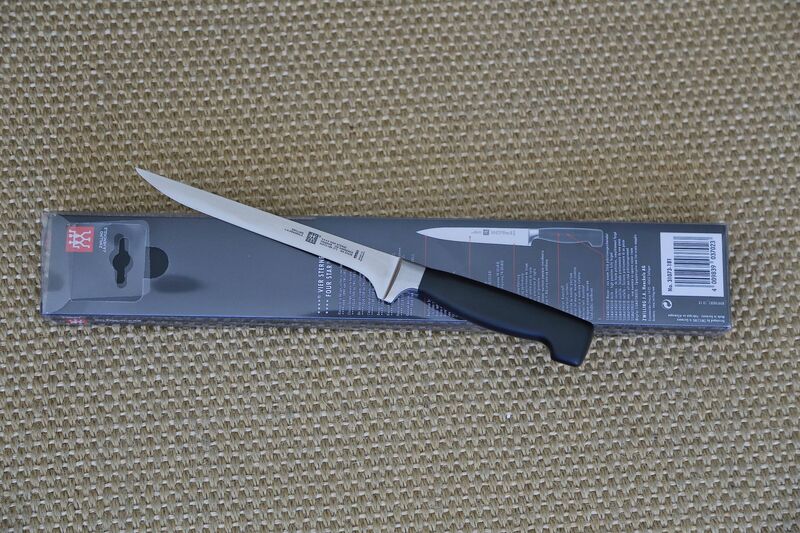 Henckels Pro Fillet Knife 38403-183 , 7″ .